Forged by curiosity, Michael Cremo’s lifelong research and writing has lead to certain historical conclusions that have instilled not only the curiosity, but also condemnation by some of his peers and colleagues. Contrary to numerous conventional theories and hypotheses about the age of existence for humans, not necessarily civilizations, but humanity itself, by many researchers and historians in the scientific communities, Cremo’s proclamations spark exciting controversies among the some of the leading names in research and academia today. Michael Cremo and Richard L. Thompson co-authored Forbidden Archaeology, and Hidden History of the Human Race, and each delves into the notions of human life much earlier than previously theorized and accepted by modern science - the story of Evolution - pioneered by Charles Darwin. Cremo refers to his overall work as “A Vedic Alternative to Darwin’s Theory”, which also happens to be the subtitle of his self-authored book, ‘Human Devolution’. So, what are his findings? As a Vedic Creationist, Cremo takes the ultimate stance that human life appeared on this planet hundreds of thousands, if not millions of years before the historically accepted supposition of 130k - 200k years. His evidence-based claims are supported by scientific analysis of artifacts, sediment layers in the Earth, human remains, and other archaeological and geological discoveries. He calls this Forbidden Archaeology. Many of these discoveries were examined, investigated, analyzed and tested by renowned geologists and scientists, with results that literally contradicted the validity of Darwin’s, and his followers’, conclusions. These were dismissed as unacceptable and barely repeatable charges - that the decades of prior research before Darwin’s revolutionary evolution theory could ever hold any truth to the origins of humankind - and would be denounced by the mainstream scientific world in the name of evolution and science. 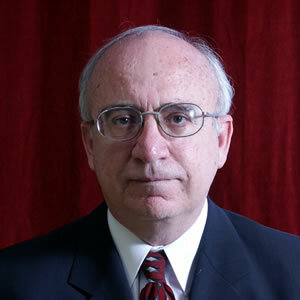 Though Michael Cremo had never taken a Biblical defense, he did also support the evidence for theories on Creationism. As well, he does not deny the science, evidence or even all theories of evolution… Only that humanity may be the culmination of the very two, the evolution of creationism. And with the discovery of forbidden archaeology comes the exploration of what we have missed, or mistold. Are our ancestors from the stars? The recordings of ancient civilizations all hold one very theme in common: The creation of humanity was from god(s) of the skies. See Cremo’s full bio from his website here. Though Michael Cremo’s examinations and experiences has driven him down a path of controvert of his fellow science and history pioneers, we know all too well how reality can be quite different that it appears. Recently, in December, 2017, Cremo was a guest on YouTube channel New Thinking Allowed with host Jeffrey Mishlove. 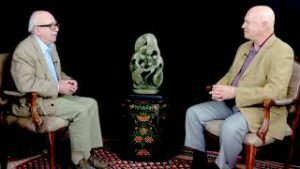 In this interview, Cremo describes the findings reported in his 1993 book, Forbidden Archeology, in which he documented many reports from scientific journals prior to the acceptance of Darwin's theory. These reports show evidence of modern human remains found in geological formations that are millions of years old -- long before the generally accepted dates of homo sapiens sapiens. If taken seriously, Cremo explains that this data contradicts standard interpretations of human origins.